Curious as to why you are going with the 960 wishbones+knuckles in the front? Lighter? The bolt on 850 coilovers are a little easier to source? I was thinking I would just retube and/or shorten the 740 struts to DIY a coilover. 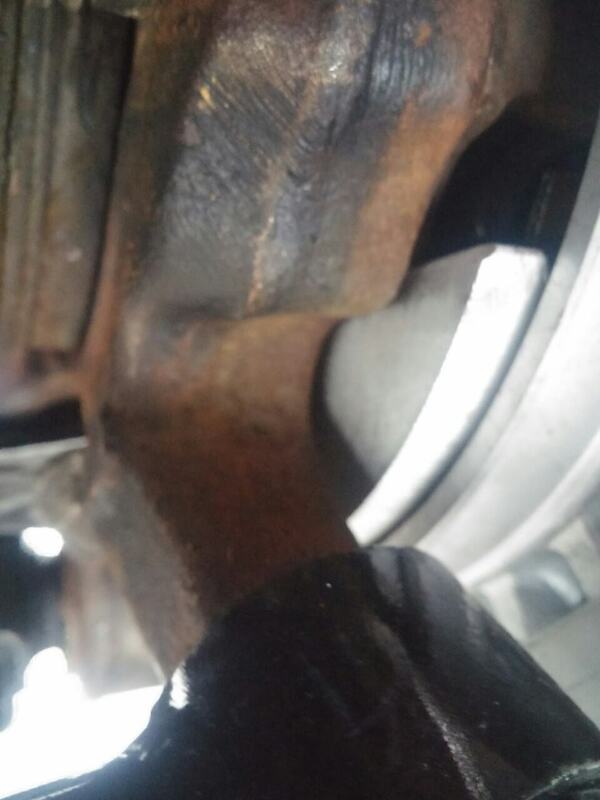 I'm not a big fan of the two piece control arms on the 740, but they do work as long as the bushing is kept in good shape. Good to see you're plugging away at this still. I know seeing it finally sitting on the ground with that rear end is a good feeling. 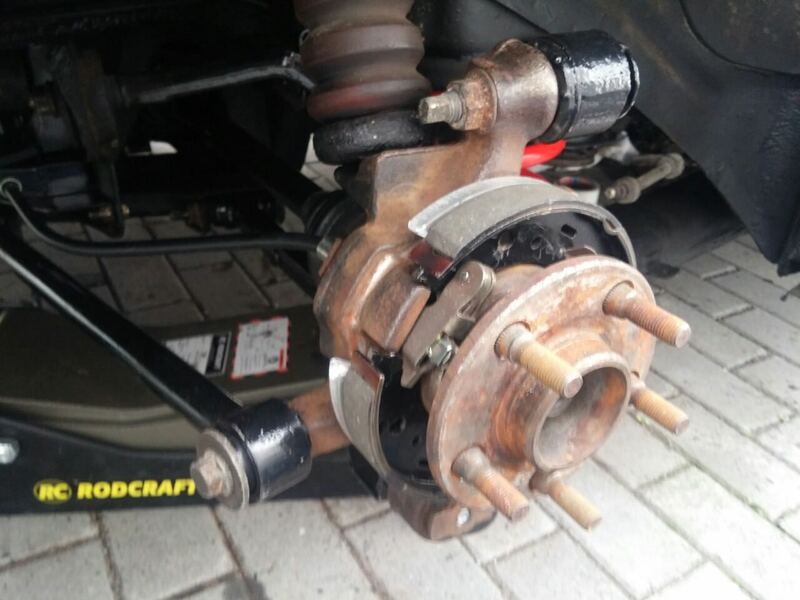 I changed the wheel offset in the back by using mk2 irs hubs, so I can fit high ET wheels for any modern Volvo without using spacers and use the S60R rear brakes. I want to be able to get rid of the spacers in the front too. The difference in offset with the 740 and 960II doesn't come from the hubs, but from the wishbones. They push the wheels further out. The 960 wishbones are much beafier than the 2 piece 740 ones, which won't hurt with the massive brakes I'm using. Also on the 960II hubs, the flange with the wheel bolts holding the wheel is much thicker I've noticed. They use this huge lower chassis brace too which connects the rear mounting points of the wishbones together. All in all it seems like a much more sturdy setup, if you replace the bushings once worn out of course. 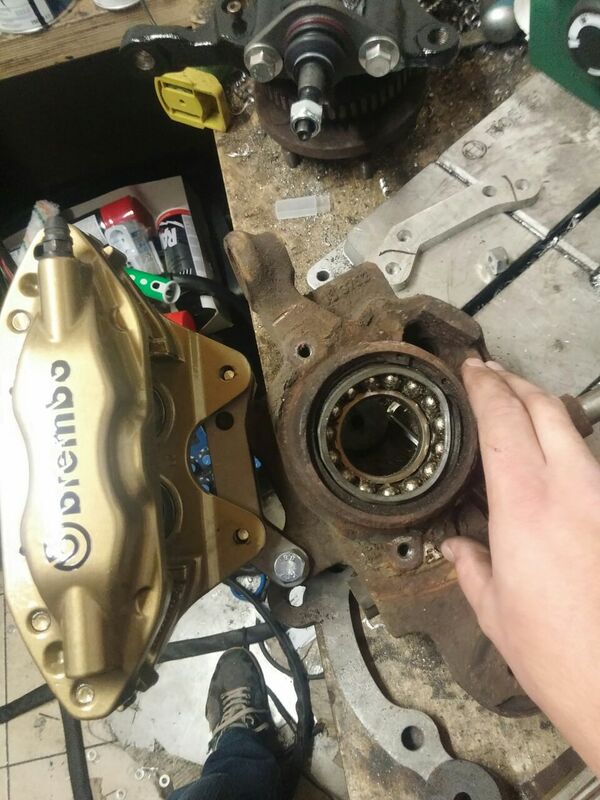 Also, having the hub separate from the strut adds the posibility of adjusting the camber without needing camber adjustment plates. Somewhere along the line once it's driving and the engine swap is registered, I plan on registering the car in Germany where I live. In the Netherlands (where the car is still registered), anything goes modification wise (more or less), but in Germany they are much more strict and aftermarket parts need to have an approval to be used. I plan to use as many stock Volvo parts as I can that where available for this chassis to avoid that a bit. For the 740 there are no coil overs which are bolt on and approved here, but for the 850 there are. It should be possible to get that registered. The same applies to wheels, I need at least 18" wheels due to the size of the brake discs, but again there is nothing available with low offset etc. But for modern Volvos you can buy tons of wheels with the right papers. Last edited by Sander; 10-16-2017 at 12:27 PM.. Thanks! It definitely is. I can't wait to drive it and see how the IRS affects handling compared to the live axle. I am also using high offset wheels, so I do like not having the spacers. 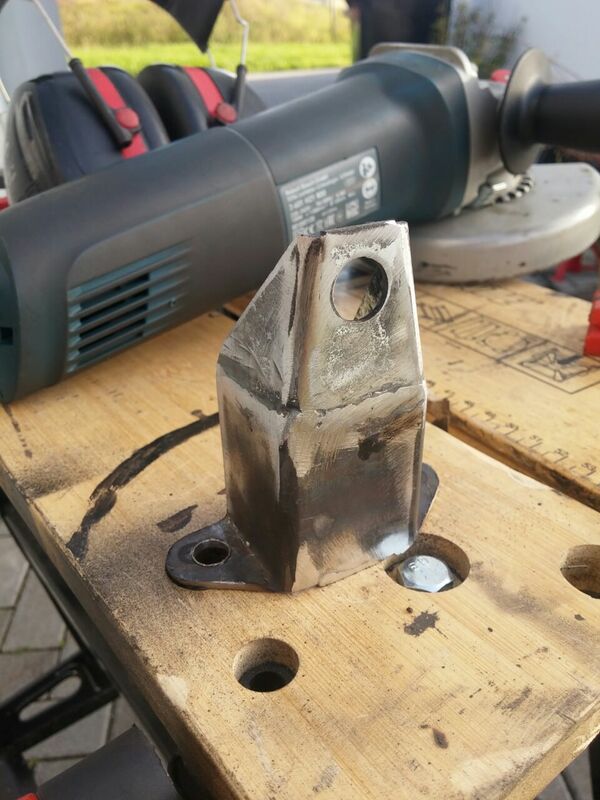 Is it trivial to weld in the new rear control arm mount on the 740? Would love to see more pics of the 960 components. I am not as familiar with them as I am the 740 stuff. Although there is "bolt in" coilovers available it seems like shock/strut options might be more flexible with the standard tube on the 740? Also, having the hub separate from the strut adds the posibility of adjusting the camber without needing camber adjustment plates. I have to disagree with that statement. 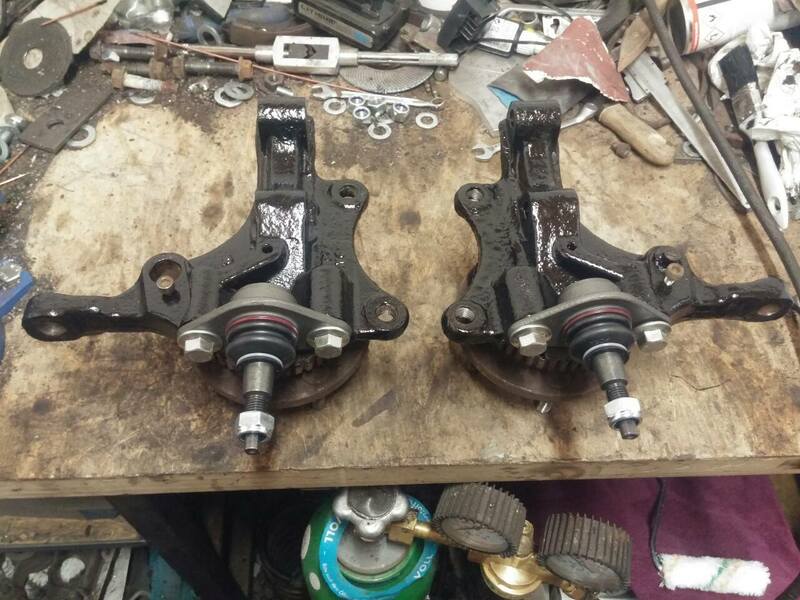 The 960 knuckle combined with the 940/740 style ball joint/control arm setup will actually give you positive camber. A local guy here has done it and he needed to max out his camber plates negative to get the wheel to a stock location. 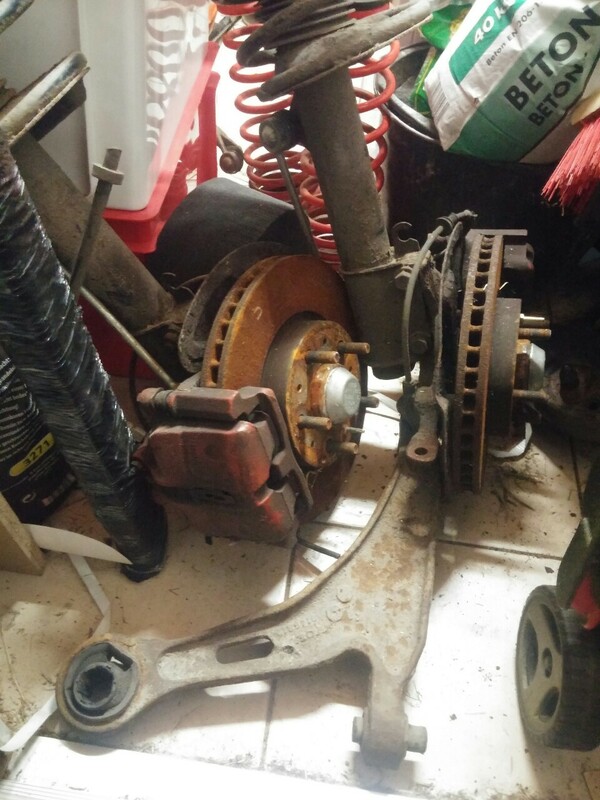 I won't be using the 740/940 ball joint and control arms, I'm swapping those too for the 960 one. I'll have to remove the rear mounting point and weld on the mounting point for the 960 arms and the 960 lower chassis brace. The reason that combination gives positive camber is that the 960 control arms are much longer than the 740/940 ones. 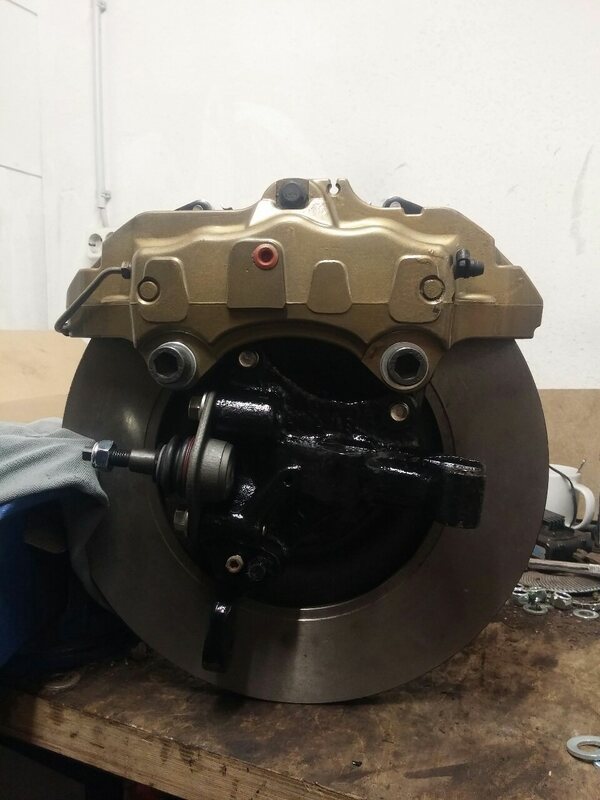 The distance from the wheel hub flange to the ball joint is actually smaller on the 960 hub than the 740 one, so it lowers the ET value required even further. The high offset from the 960II comes from the much longer control arms. 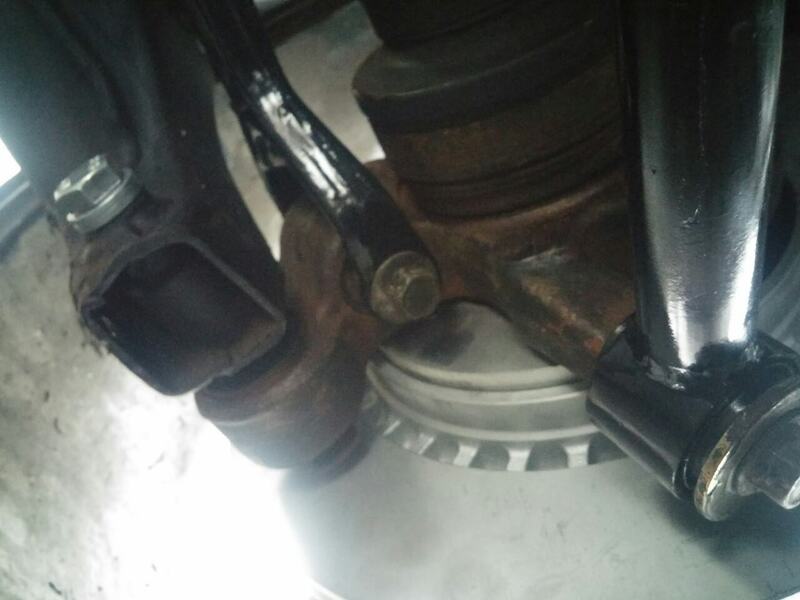 As for camber adjustment, I meant that it can be made adjustable with the 2 bolts that clamp the strut to the hub. 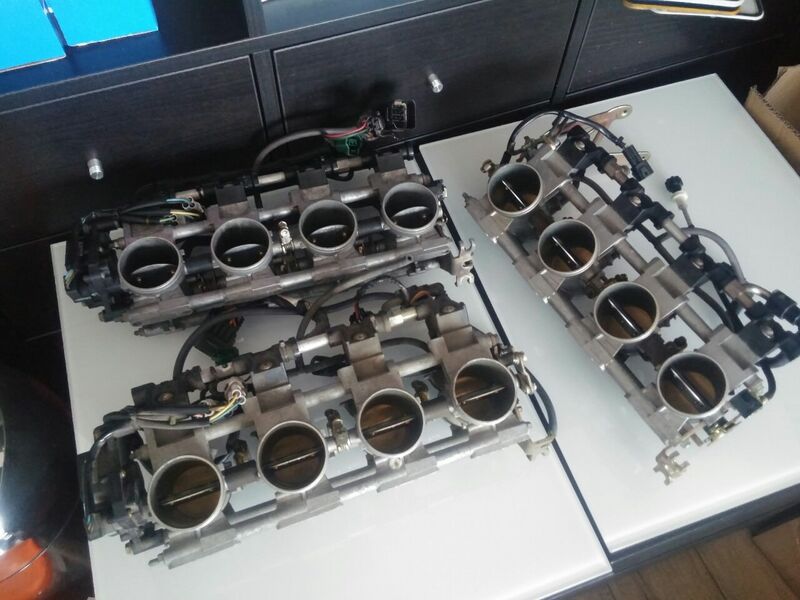 So in Germany, as long as you use OEM parts, you're pretty much good to go? Even if there's a bunch of fabrication work involved such as this? Or is that why you're trying to make everything look factory, to avoid and maybe fool the inspector?? Overall this build is bonkers in the most awesome way. I love it. I've tried the method you mentioned for the camber and it's ok while static but for actual turning it doesn't really help because you're adding camber in a spot it wasn't meant to be added. I think you'll find out how off it makes the geometry when you try it out. 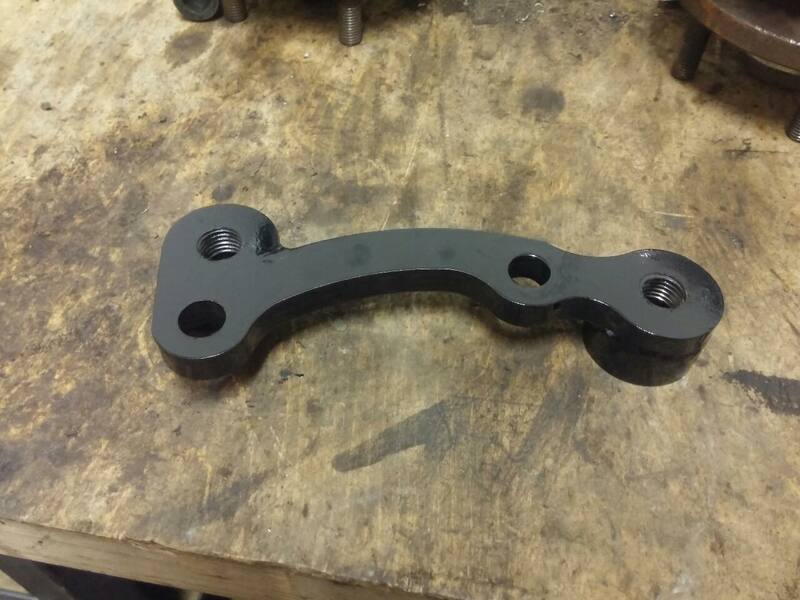 These are the brackets that hold the rear mount of the control arm. The left one is still available from Volvo new (costs like $20 or something), the cone part you'll have to weld on too, it comes separately and is also still available for next to nothing. The right hand side is not available anymore new, so I had to cut it out of a car in the junkyard. Not pictured is the really big lower chassis brace that connects to these points. You'll need that too as it has a cone on it too which makes this >< with the other one on the bracket. 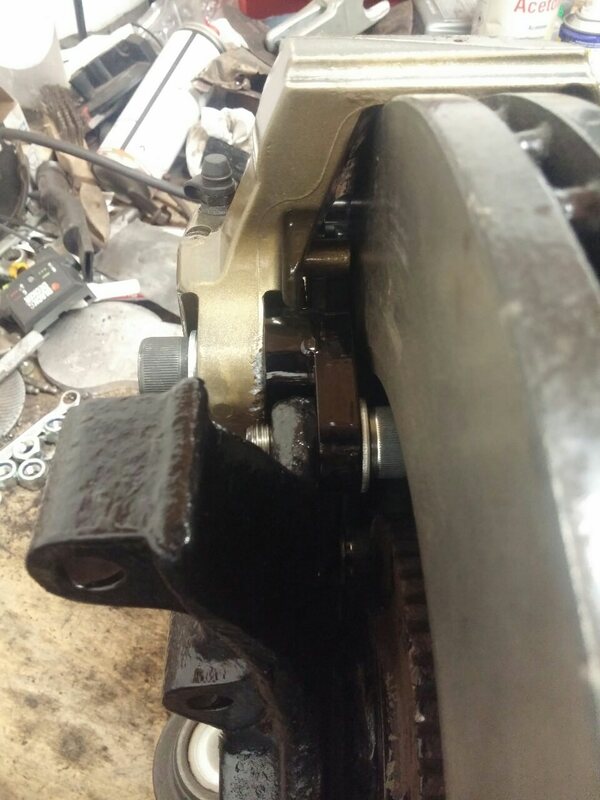 That's the center part of the rear arm mount. Welding it in is pretty trivial, just weld it around the edge and you're fine. 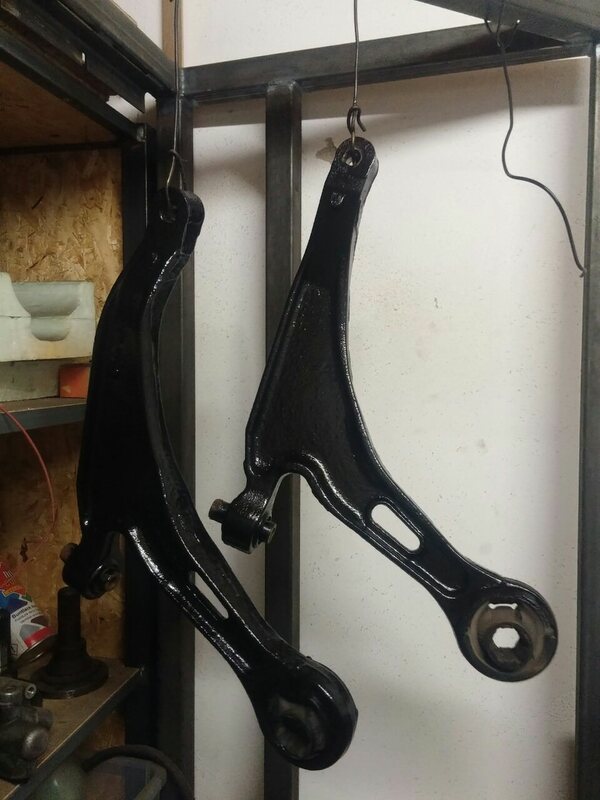 The front subframe with the steering rack is the same, just get the reinforcement brackets for it too which the 960 has. The steering rack end links are different though. Also the sway bar is different. On the 960 it attaches to the strut with ball links like on most modern cars. Thanks! A lot is still possible, it just needs documentation. 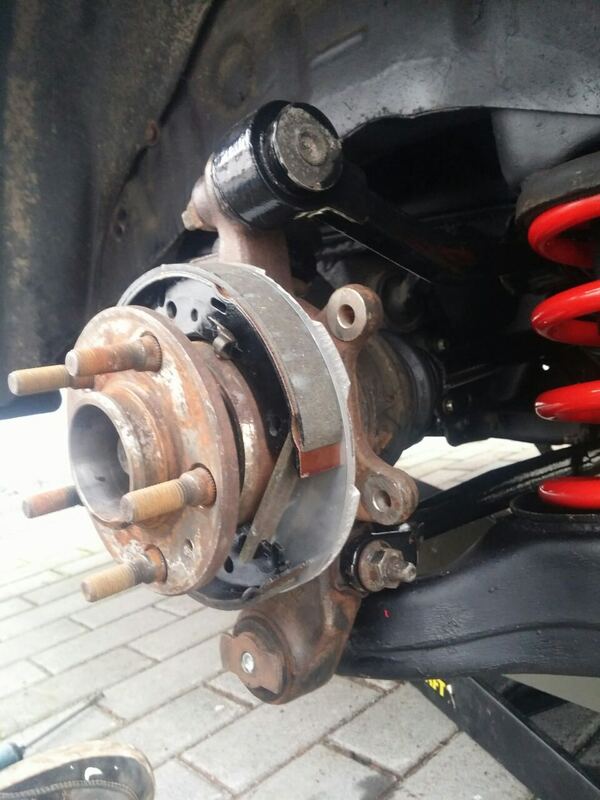 It is technically possible to make your own coil overs and get them approved, it's just a mayor hassle and will depend on the willingness of the inspector to help you. The fabrication work is a bit of a grey area, some things are allowed and some things not etc. The factory look I'm going for is just because I like it when it looks like it's supposed to be like this :-). 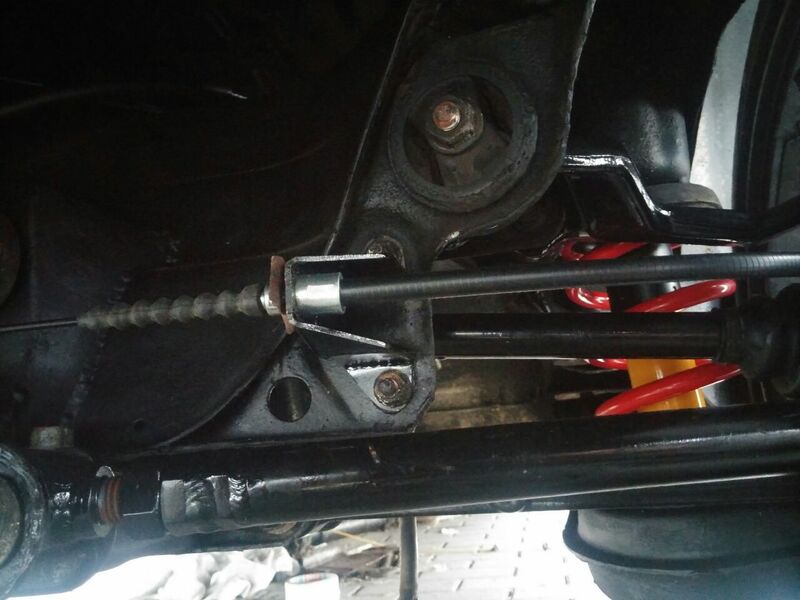 Steering rack tie rods are longer then I assume? But I can respect that. I've always respected the amount of work it takes to make something look like it came from the factory that way, but it's not the life for me. Your swaps on this car look incredibly clean. I can't wait to see what's next, as I've been eagerly lurking on this thread for months haha. Should be a blast to hear and see once it's finished. Will you go all out with the exhausts and have angry neighbours? They’re really not that heavy. I’ll do a comparison once I get the old ones off the car. The end with the ball joint is a lot longer and of a different design. 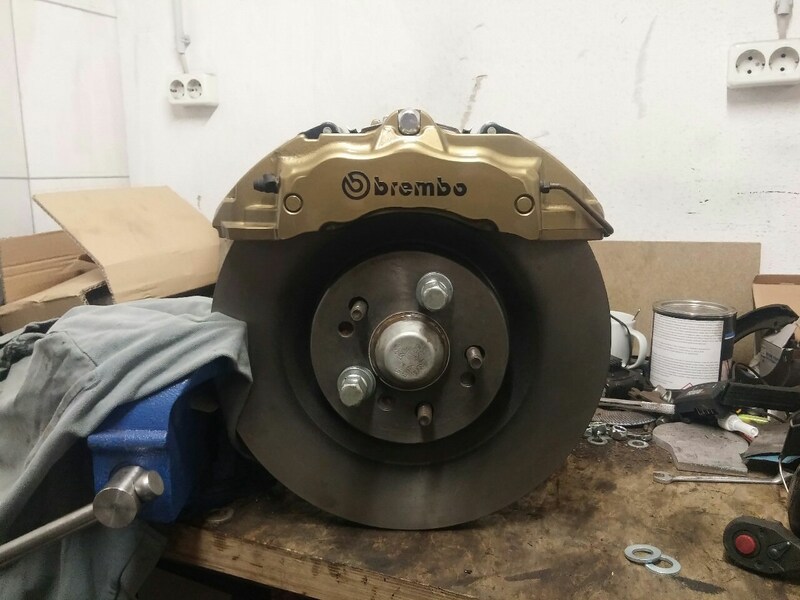 They are the same part nr as the ones on the Volvo 850. 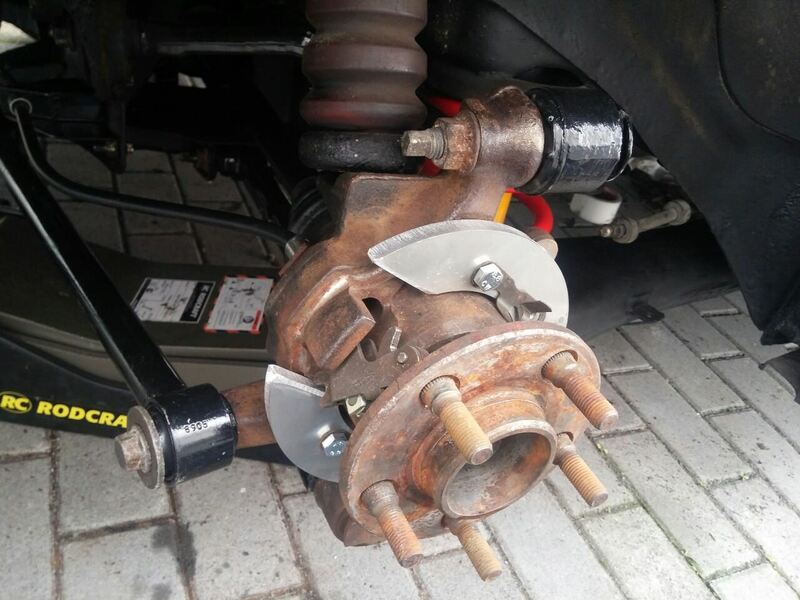 I'm not sure if the tie rods themselves are a different length, although I bought new ones anyway (for a 960), can't hurt to change them after almost 30 years and 300.000km. Haha yes I remember that from when I was in the states for a while, a good mix of nicely maintaned stuff to absolute death traps on the road. I prefer the system in the Netherlands over Germany. There your car has to go for a yearly check too, but they just check all safety related things and lights etc (and exhaust gasses but as long as it's within limits you can do whatever you want). Definitely, it'll be as load as I can legally get away with. Maybe add some valves in there that'll bypass a muffler when opened. 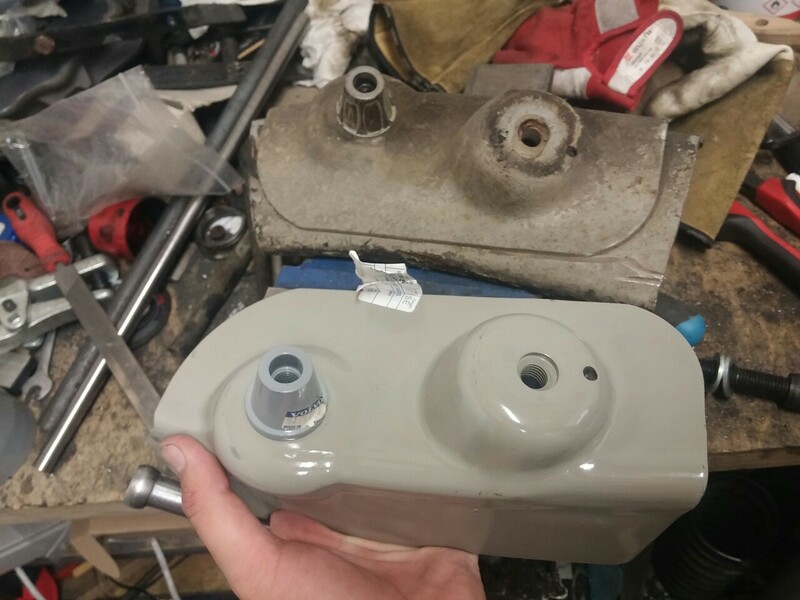 In other news, been busy lately with restoring old bits for the front suspension so I can mount everything in 1 go, finished the design for the rear caliper adapters and a plate that’ll space out the hand brake shoes so they sit correctly in the drum of the S60R disc. 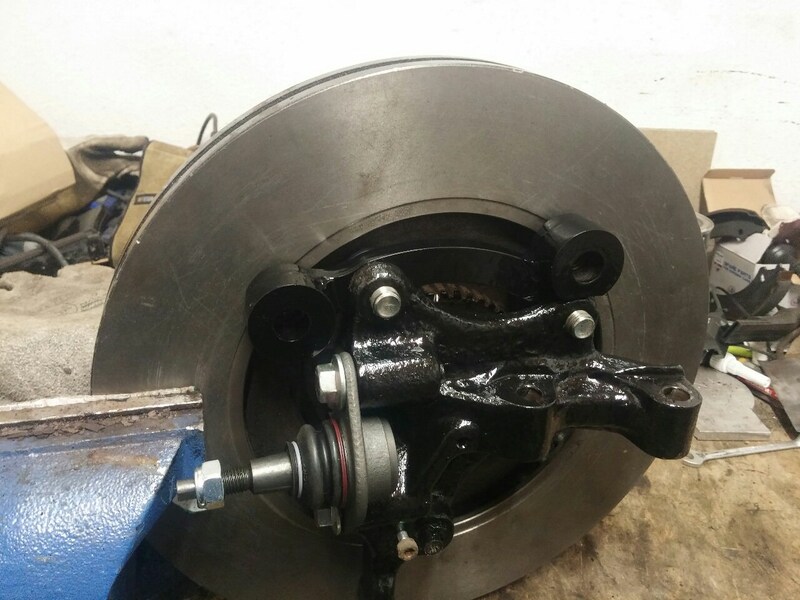 Also finished 1 of the front adapters for the Cayenne calipers. Decided to mount the front adapters by tapping M14x1.5 (fine thread M14) in the holes on the knuckles. The holes are 12.5mm, which is the exact size you’d need for M14x1.5. I like having a thicker bolt holding them to the knuckles. There is more than enough metal there for this. 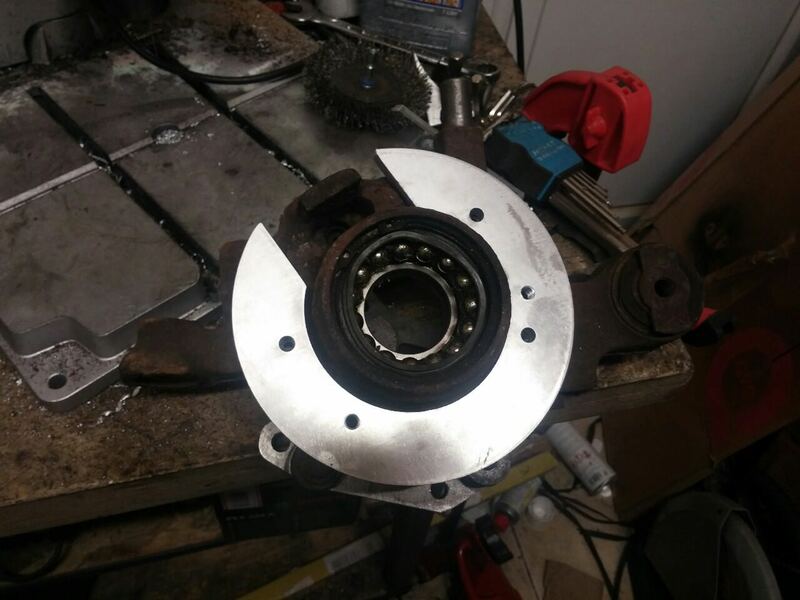 The handbrake is finally finished. 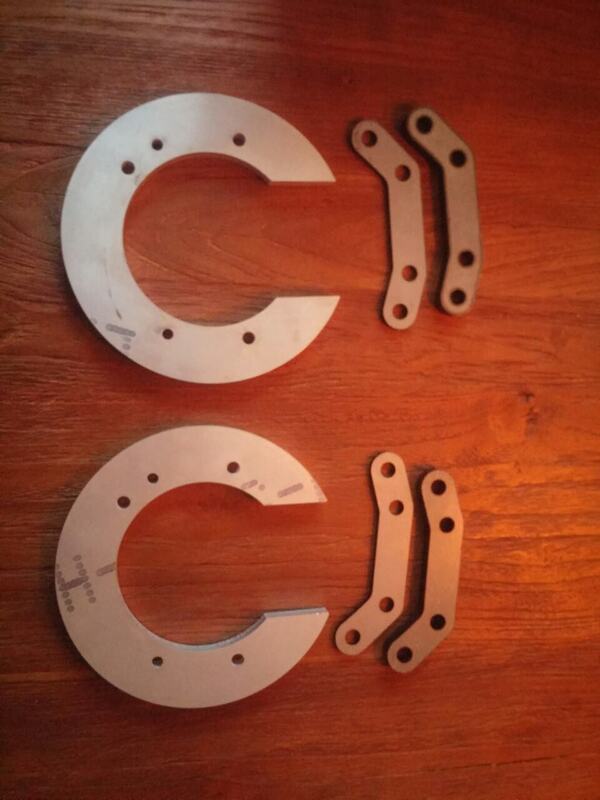 Mounted the plates that offset the pads to the correct position. 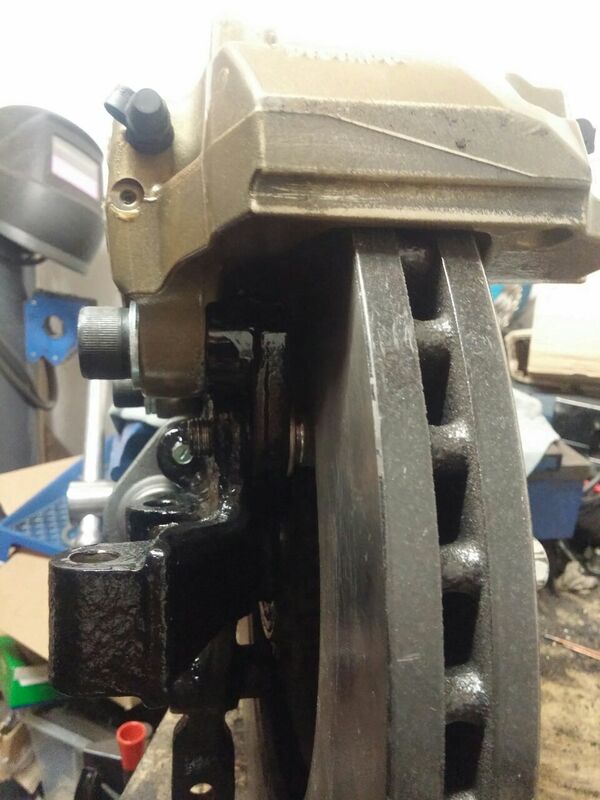 I also had to modify the brackets that hold the 2 brake cables that go to each side. They had to be extended further towards the back of the car because the diff mounts are in the way. do you have an extra set of those plates? No I just made 1 set, but I can share the design if you are interested. It would be way cheaper too for you if you would have a set made locally. Amazing build sir! Keep up the good work! Thanks! Started collecting parts for the intake manifold. 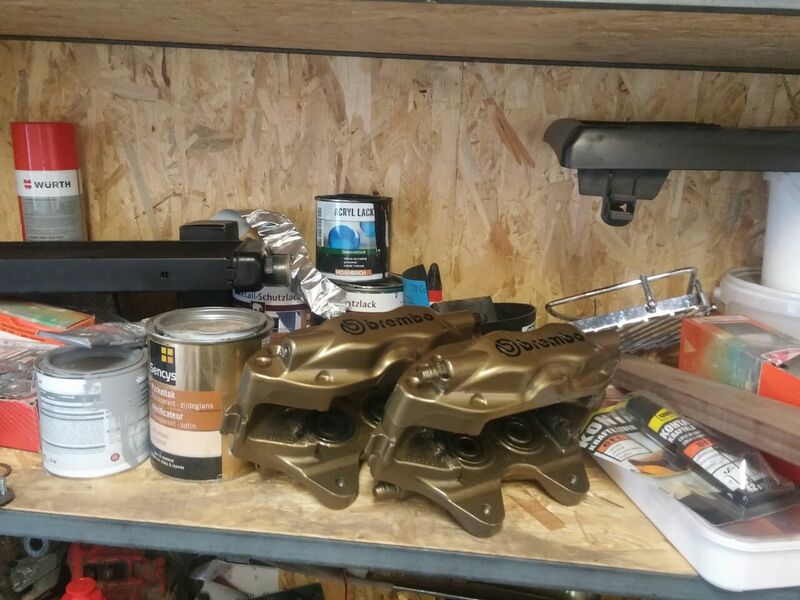 I'll be using 3 sets of Suzuki GSXR1000 ITB's. I had to modify the original manifold (which isn't fantastic) because the TB's didn't fit, so might as well make it an improvement. It'll save a bunch of weight too, the stock intake is about 20kg. Wow, it's hard to up the ante when you start with a v12 swap, but you've consistently done it!